It’s not every day that you come across someone so kind that they are referred to as an angel, but Family Legacy is proud to present our latest Caregiver of the Month who has been given that title. 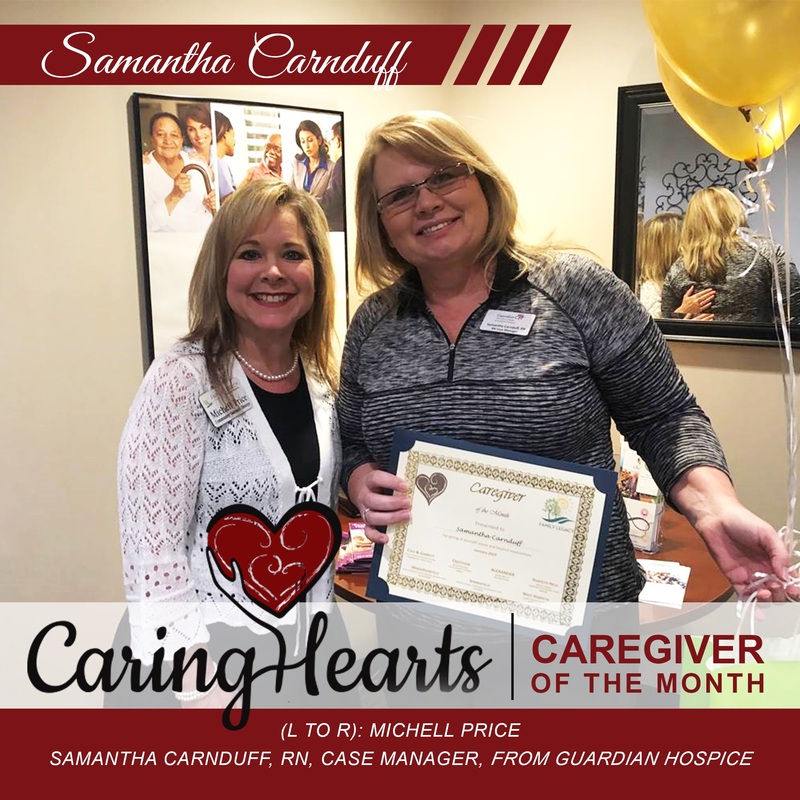 Congratulations to Samantha Carnduff of Guardian Hospice! An Angel: From August – November 7, 2018, she guided Mom and our family gently along. Her words were kind, gentle and soft. She wore a smile that was contagious each time she walked in the door. My Mom looked forward to her coming and believed in her. She was there for us throughout the ups and downs of the situation until the end. Always willing with advice and love no matter the time. She came in the door November 7, 2018, 3:45 pm. I will always believe Mom waited on her to take her last breath, for she knew Samantha would guide her to the other side peacefully and she did, still with that smile and arms to hold me as Mom left at 4:05pm. I have never met a person who meets the qualifications of an angel, but will forever hold a special place for her, for she is all that!